The Coral Charge, run over 5 furlongs at Sandown, hasn’t had a habit of throwing up big-priced winners in recent years, but soft going increases the advantage held by runners drawn low, so we’ve identified a couple that, granted a kindly stalls position, could go well at rewarding odds. Officially, Duke Of Firenze (33/1) is one of the lowest rated runners in the field, but seems at least as good as ever, if not better, this season and fully deserves another crack at this level. 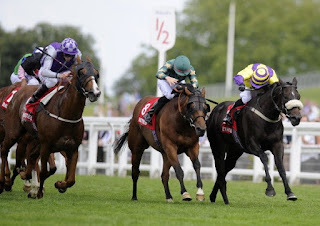 The 7-year-old appears to have been rejuvenated by the transfer to David Griffiths in April, beating subsequent Wokingham Stakes runner-up Brando at York three starts ago and running creditably in defeat when third, off revised marks, in competitive handicaps at Epsom and Musselburgh. Obviously, he has plenty to find on official figures, but should be suited by an end-to-end gallop and has winning form on soft going, so shouldn’t be inconvenienced by any rain that falls in the South East. Stepper Point (40/1) beat subsequent Nunthorpe Stakes winner Mecca’s Angel, on unfavourable terms, at the Curragh last summer, but has been woefully out of form since breaking a blood vessel at York on his next start. The Kyllachy gelding was found to be suffering from a heart fibrillation caused by a liver infection, which was successfully treated, but he has clearly taken some time to regain his confidence. It’s worth remembering that he easily won the Flying Five Stakes, also at the Curragh, the previous season off a mark of 113, so if he was anywhere near his peak he’d be more than a match for most of these. 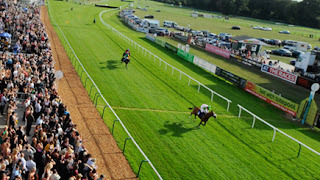 Selections: Sandown 2.00, Duke Of Firenze (33/1 with William Hill), Stepper Point (40/1 generally available). The Betfred “Home Of Goals Galore” Handicap (4.35) is an interesting contest as far as we’re concerned because just two of the runners, Can’t Change It and Mr Bossy Boots, have experience of the Tapeta surface and that was 18 months ago. In fact, they filled the first two places in a 0-80 handicap over 7 furlongs at Wolverhampton at the first meeting held on Tapeta, in August 2014. On that occasion, Mr Bossy Boots won readily by three-quarters of a length and is 3lb better off at the weights, so must remain of interest despite the form being a while ago. His last win came in a 0-95 affair over 7 furlongs at Lingfield in April, off a 3lb lower mark, so while he failed to make much impression when stepped up in class at Ascot and Sandown the last twice, it’s hard to say that he’s impossibly handicapped. He probably needs to improve a little to win but, having run well on both attempts on Tapeta, that’s by no means out of the question and he must have a sporting chance. 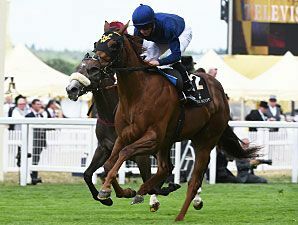 Can’t Change It is in the form of his life, having recorded a career-best effort, by some way, when winning comfortably at Goodwood on his reappearance in May. He has gone up 8lb in the weights as a result, but is clearly thriving. In fact, granted his earlier form on Tapeta, he’ll probably be much too short to be considered ‘outsider’ material so, for that reason alone, he is passed over. The other one that catches the eye is Free Code, who makes his debut Tapeta after failing to trouble the judge in four starts so far this season, but makes a quick reappearance after running at Redcar last Saturday. The Kodiac gelding made a promising start to the season when fourth of 12, beaten 3¾ lengths, behind Teruntum Star over a seemingly inadequate 6 furlongs at Newmarket in April and, although his subsequent form over 7 furlongs is nothing to shout about, he is starting to look well handicapped off a mark of 88. In fact, he’s1lb lower in the weights than when winning at Doncaster last summer, so would have an excellent chance if anywhere near his best. 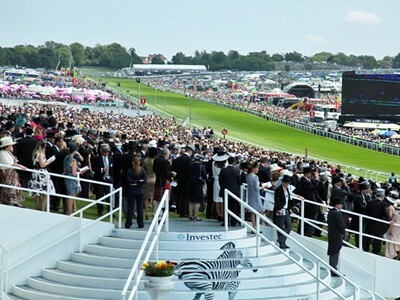 The Royal Ascot Stakes, run over 2 miles 4 furlongs, has thrown up winners at 33/1 and 20/1 (twice) in the last 10 years and seems as good a race as any to throw our hat into the ring this week. Mirsaale (20/1) won the Epsom Derby Trial as a 3-year-old and finished ninth in the Derby proper but, after a lengthy spell in the doldrums, has been reinvented as a stayer by Keith Dalgleish. The Sir Percy gelding returned to turf in a lowly 0-75 contest at Catterick in April, but drew further and further clear, until he was 20 lengths clear at one stage, before being heavily eased close home. He stepped up in class and distance, off a 16lb higher mark, at Ripon on his penultimate start, but once again took up the running with half a mile to race and went clear to win unchallenged. He was beaten, but far from disgraced, over 1 mile 5 furlongs at Hamilton last time, but this marathon distance could conceivably bring about further improvement, especially with underfoot conditions in his favour. Winning hurdler Chartbreaker (33/1) won twice, on very soft and heavy going, as a 3-year-old for Andreas Wohler, so has no questions to answer regarding distance or going and remains unexposed as a stayer on the Flat. Although a 5-year-old, he’s only had eight starts in total and just four on the Flat and, being by Shirocco – the sire of Annie Power – out of a Galileo mare, he’s another who could find some improvement on his debut for Chris Gordon. If cheekpieces have the desired effect, he could go well at rewarding odds from the bottom of the handicap.